sticking his head out the hatch. 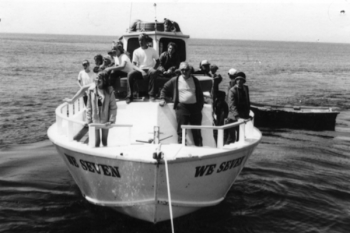 We Seven (# ) was the third vessel owned and operated by Island Packers in the 1970s. 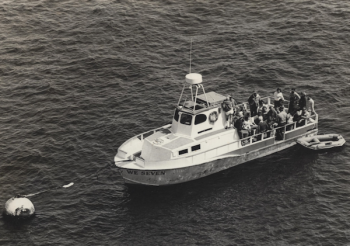 The boat was built by Jeffries Boat Works in Venice, CA and licensed for 29 passengers. 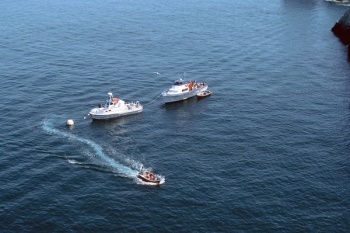 It was originally built as a dive boat and owned by Kenny Lamb. 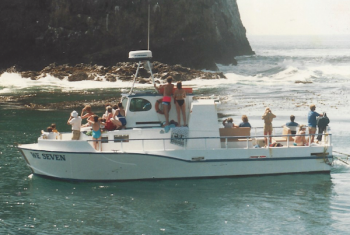 Island Packers bought the boat from Lamb and used it for both diving and day trips to Anacapa Island. This page was last edited on 9 June 2018, at 09:07.